Route4Me's dynamic route optimization system plans and optimizes routes automatically, then sends the routes to your people and allows them to view these routes using their smartphones. Notifying customers is something that every business does differently, so we permit you to set different alerting rules for your customers. For example, you can notify customers the day before a route with the approximate arrival time of a driver with up to 5-minute accuracy. Or, when drivers begin approaching certain customers, you may want to notify them when the driver is within 5 miles, 5 minutes, or 5 kilometers of their location. 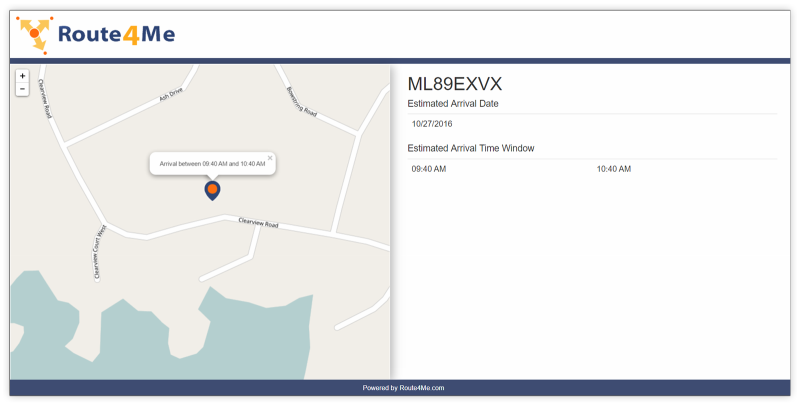 You can even configure and send an automatic SMS text message and e-mail with tracking URL, so your customer can see where your driver is as the driver approaches. If you subcontract work to other drivers, our tracking and notification works with their routes and devices too. That means your customers are always in the loop, and your customer service team won’t be distracted with low-value activities.